Bahamas-based managed cloud service provider, Cloud Carib Ltd is extending its reach across the Caribbean and Latin America, bringing several new data centres to the region. Cloud Carib– a managed cloud service provider, with data centres in Nassau and Freeport in The Bahamas – is launching a newly rebuilt CaribPod data centre in Panama. Cloud Carib has also announced service extensions into Barbados and Jamaica and additional regional sites planned in Trinidad, Cayman, and other locations before the end of this year. Cloud Carib’s data centres are serviced 24/7 by their own Command and Control Centre to provide clients around the clock support and monitoring. All Cloud Carib data centres are operated in alignment of international standards with service supported by the Cloud Carib Service Management Framework. Today The Bahamas celebrates 44 years of independence and self-governance with a national holiday. 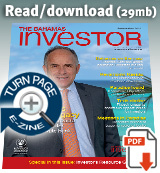 The team at TheBahamasInvestor.com would like to take the opportunity to wish people of The Bahamas a happy holiday. Labour Minister Dion Foulkes took the opportunity this week to meet with Grand Bahama labour unions and businesses.